We Love Chemistry, How About You? Over 45 Yrs Experience. MB Research Labs has been a primary provider of chemical safety testing services to the chemical and consumer products industries. MB Research has been accredited by AAALAC International, a private, nonprofit organization that promotes the humane treatment of animals in science through voluntary accreditation and assessment programs since 1975. Standardized GLP Protocols available for skin and eye irritation, oral and dermal toxicity, dermal sensitization assays and phototoxicity. 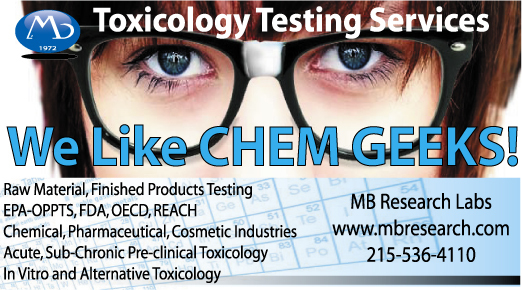 Toxicology Testing Experience You Are Looking For. With a wide range of in vivo and in vitro test protocols available, MB Research Labs offers comprehensive capabilities to address your unique needs and goals. testing, research, and safety evaluations, MB Research serves the testing needs of both government and industry. Our complete support services including consultation, protocol development, quality assurance, analytical chemistry and archive facilities are integral components of studies performed at MB. Our technical and support procedures are in full compliance with OECD, FDA, and EPA. Chemical toxicology studies are routinely performed on a wide variety of compounds. The selection of specific studies to be conducted is based on the intended use of the compound and the applicable regulatory requirements. Protocols for the most commonly implemented regulatory studies are available upon request. As Regulators begin to initiate laws and regulations that require the reduction of using live animals for safety studies, more and more companies are looking for valid substitutes that are economical and thorough. 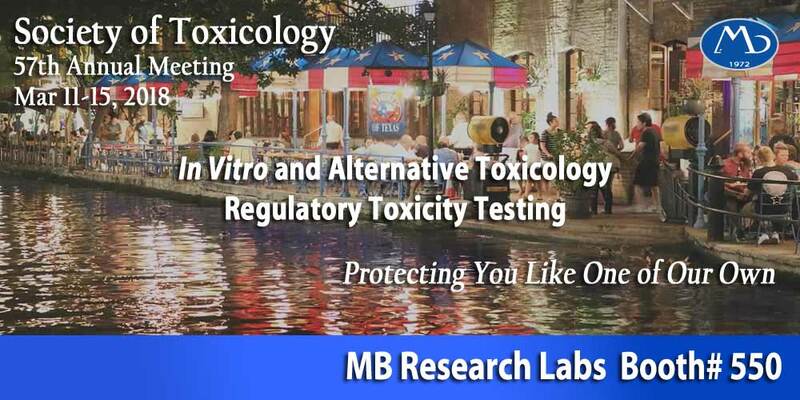 Let MB Research help in that search, In Vitro Toxicology Testing Services. Since the late 1980s, MB Research has been a pioneer in the used and development of in vitro & alternative test methods, reducing the use of live animals in toxicological research. The principle of the 3Rs was first mentioned by William Russell and Rex Burch in 1959. In their book “The Principles of Humane Experimental Technique”, they classified humane techniques under the headings Refinement, Reduction, and Replacement, commonly known now as the 3Rs. MB Research Laboratories prides itself on pursuing in vitro and alternative toxicological methods that Reduce, Refine and Replace the use of animals in laboratory research and has worked with many leaders in this field to advance the development, validation and regulatory acceptance of in vitro and alternative tests with a goal on replacing laboratory animals in toxicological research.